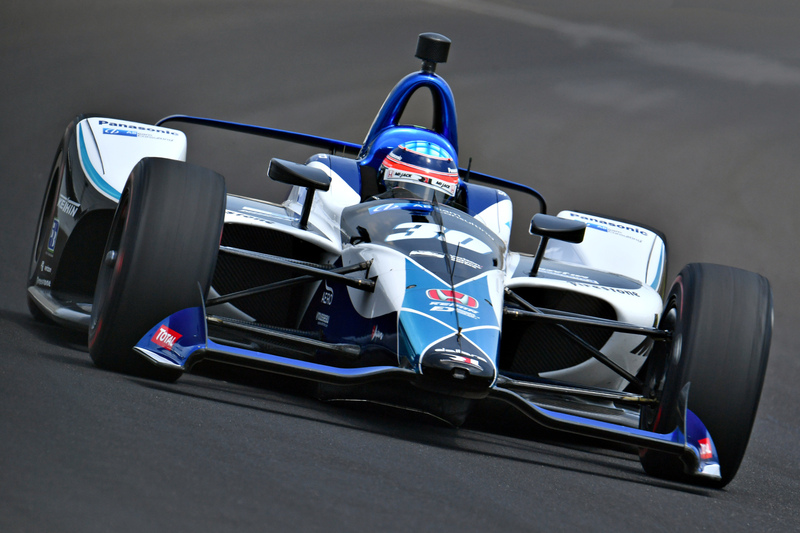 It’s a little ironic the only time Takuma Sato might really be able to slow down, as he prepares to defend his title in the Indianapolis 500 on Sunday, is when he’s strapped into a car and about to take off in a machine that can reach speeds in excess of 200 mph (322 kph). Sato, a 41-year-old native of Tokyo, has been living life in the fast lane since this time last year, when he became the first-ever Japanese driver to win the “The Greatest Spectacle in Racing.” Since then, Sato has rubbed shoulders with Japan Prime Minister Shinzo Abe and U.S. President Donald Trump, thrown out the first pitch before a Cubs game at Wrigley Field and attended countless other functions in the U.S. and Japan as the Indy 500 champion. 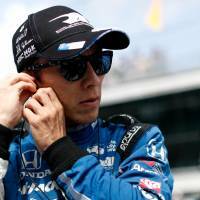 There hasn’t been much time for him to catch his breath and that won’t change this weekend, as Sato juggles his preparation with the duties of a defending champion at Indianapolis Motor Speedway. “It’s tough, but that’s part of our job, and you have to manage it,” Sato told The Japan Times over the phone from New York earlier this week. “You need good sleep, good food and just try to relax as much as you can. Once you get the drivers’ instruction done (on race day), you get your kit on and sit in the seat and slip yourself into the harness. That is the time it finally gets quiet. Nobody can touch you. That is the time you really have to raise your concentration and make it into the zone. 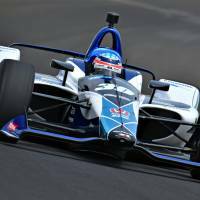 Sato, who returned to Rahal Letterman Lanigan Racing this year after spending 2017 with Andretti Autosport, is hoping the race is more enjoyable than a difficult qualifying session that saw the champion finish 16th. He’ll start in Row 6 on Sunday. “I thought we struggled a little bit in qualifying the first day, and the second day we had come back quite strong,” he said. “I know with the engineers squeezing out the last one percent of the speed . . . the boys are working really hard to make it happen, which I’m really happy with. 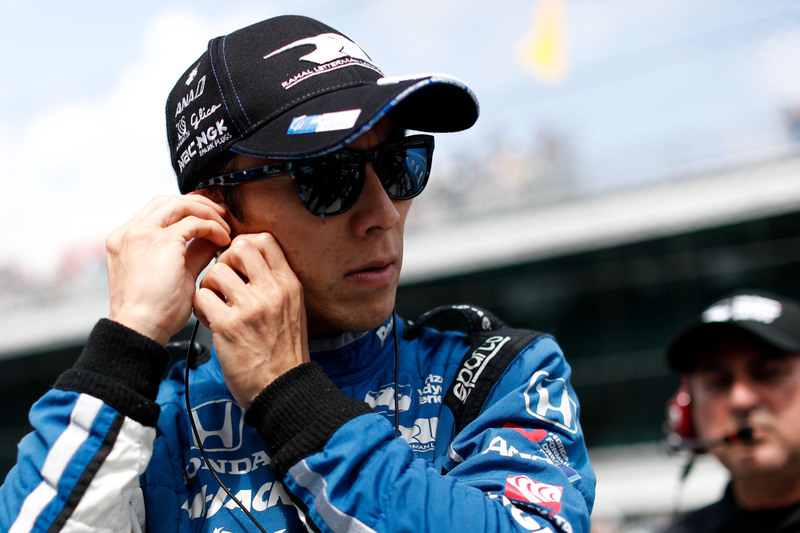 Sato led 17 laps of last year’s 500 and clocked the fastest time around the track at 226.190 mph (364 kph) on Lap 150. He held off three-time winner Helio Castroneves down the stretch to claim his historic victory. He returned to Japan that winter and brought along the Borg-Warner Trophy, to which his likeness had been added alongside past winners. The trip marked the first time the trophy, first awarded in 1936, had left America. Honda and Andretti Autosport also prepared the original chassis and rebuilt and installed the original engine for Sato’s trip to Twin Ring Motegi, in Tochigi Prefecture, in December. “What’s now in the Honda museum in Japan is the true original winning car,” he said. Sato also drove a few demo laps, the first laps there by an Indy Car since 2011. Sato’s victory energized the racing community in Japan. In particular, it helped raise the profile of Indy Car racing. While Formula One annually runs in Japan, at Suzuka International Racing Course, the last Indy Car event occurred in 2011 at Motegi. Sato also enjoys a large following in the U.S., especially in Indianapolis. He’s raced in the IndyCar Series since 2010 and became the first Japanese to win on the circuit with his victory in the 2013 Toyota Grand Prix of Long Beach. He gained a lot of fans and respect in 2012, when he famously spun out trying to overtake leader and eventual winner Dario Franchitti on the first turn of the final lap of the Indianapolis 500. Sato said he has no regrets about that race, though “I wanted to be pointing in the right direction coming out of Turn 1,” he joked. “I don’t regret what I did, because obviously, there was a chance,” he said. “That was the only chance actually. Due to the wind direction, it had to be done in Turn 1 because I couldn’t do it in Turn 3 anyway. With the closing speed and where we were and the situation, I had an opportunity to challenge Dario to win the 500. So I went for it, and as a result it failed. Winning the 500 has led to a number of different experiences for Sato, including meeting MLB two-way star Shohei Ohtani and his Angels teammate Mike Trout before a game on April 3. After his experience on the mound at Wrigley, Sato seems content to keep driving, and leave the pitching to Ohtani. “My first-ever pitch, which was very interesting, because I never played baseball,” Sato said. “Throwing motion is probably one of the last things I wanted to do. But since I had a great opportunity, standing on the mound is such an unbelievable experience, I really enjoyed it.